The Empire Strikes Back, Second City, Vatican Two, Jackie Robinson, John Adams: all wonderful and memorable seconds. To that canon Creative Colloquy offers you our sophomore collection, Creative Colloquy Volume Two. 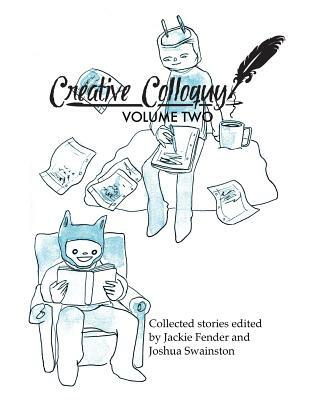 Volume Two is the cumulative efforts of Creative Colloquy and the writers of the South Puget Sound to forge a community platform where everyone is welcome to share and enjoy the art of storytelling. As part of our mission, we attempt to explore a wide variety of subjects, styles and abilities within writing. As evidence of that, within these pages you will find pirate love, a Caterpillar mustache, and cities, described as ex-boyfriends.